How Well Do You Know Bike Safety? 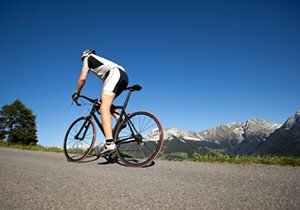 Our San Diego bike accident lawyer Frederick M. Dudek sheds light on the most common bike safety myths to help fellow cyclists minimize the risk of being involved in a bike accident. The vibrant city of San Diego CA is full of active cyclists sharing the road with other commuters, but to share the road effectively, cyclists must be able to separate the misconceptions of bicycle safety from the facts. Read this important guide to these common fake facts about bicycle safety. Myth: Cyclists should ride facing traffic. 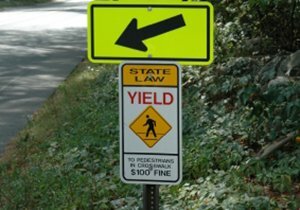 Unlike pedestrians, who are safest facing traffic while walking, bicyclists should always ride with traffic. Riding with traffic makes riders more visible and predictable to drivers. It is an unfortunate fact that cycling facing traffic leads to approximately 25 percent of all bike accidents involving cars. To avoid risking a serious bicycle injury, ride with traffic. Myth: Riding a bike on the street is more dangerous than riding on the sidewalk in San Diego. In busy cities such as San Diego, it may be tempting to see the sidewalk as a safer option than the road. This common misconception is one that cyclists may not know about but can lead to serious bike injuries. Cyclists that ride bikes on sidewalks adjacent to streets typically run a higher risk of being involved in a bike crash. Cars may not expect cyclists to be riding on the sidewalk, which can make it dangerous when crossing at an intersection. Additionally, cars may not take proper precaution when backing out of their driveway, leading to bicycle injury. If there is not a bike lane available on the street, cyclists should ride as far to the right as possible and allow faster moving vehicles to pass on the left. However, if a road is so narrow that riding on the far right is impractical or unsafe, cyclists are permitted to then (and only then) “take the lane.” This will make the cyclist more visible to San Diego traffic, and along with wearing reflective gear and having lights on the bike, can help to prevent a bike crash. Myth: I do not need to wear a bicycle helmet every time I ride a bike. San Diego bike accidents do not always involve cars and busy streets; they can occur on sidewalks, driveways and in residential areas with low speed limits. Cyclists can be involved in accidents anywhere, and bicycle helmets greatly reduce the risk of sustaining a bicycle brain injury. In addition to wearing a properly fitted bicycle helmet, it is important to learn how to negotiate road hazards and obstacles, especially when hitting one of the many San Diego bike trails. Practicing good bicycle safety is a combination of precaution, attention and reaction. Every aspect should be taken seriously to avoid a bike crash in San Diego, including always wearing a helmet while cycling. Myth: I can wear any type of helmet while riding my bike. Not all helmets are created equal. 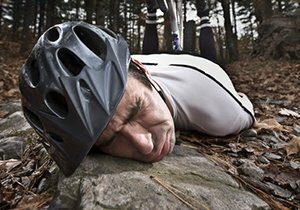 Each helmet type is specifically designed for impacts associated with a certain activity. Football and motorcycle helmets, for instance, are not designed to protect the head from trauma caused by bicycle accidents. Cyclists should make sure they have a helmet designed for cycling. Additionally, if you are getting back into cycling, grabbing the old helmet from the garage may not be your best options. Helmets manufactured before 1999 may not meet the current U.S. Consumer Product Safety Commission’s bicycle helmet standard. The bike helmet does not fit correctly – Many specialty bike stores in San Diego can help you find the best fit of bicycle helmet to protect yourself in case of a bicycle accident. Myth: I should buy a bike large enough for my child to grow into. Children with oversized bicycles can be hazardous to themselves and others. They may have difficulty steering, reaching the pedals or can easily lose control and weave dangerous while riding on roads. Buying a bike that fits your child’s current needs is a huge component of practicing proper bike safety for children. Kids grow quickly. To save money on replacing bicycles, try to buy secondhand. Often, people donate barely-used children’s bicycles when their own kids grow out of them. Be sure to take any used bike to a qualified shop for a tune-up prior to riding. 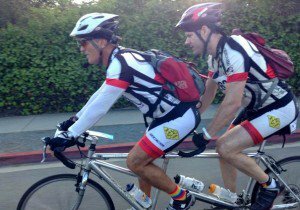 Frederick M. Dudek is a San Diego bicycle accident attorney who is passionate about cycling and bicycle safety. He hopes to help cyclists be safe on the road and prides himself on being one of the only bike injury attorneys in San Diego with firsthand cycling knowledge who focuses on working with bike accident victims hurt by negligence. 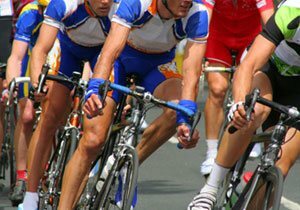 If you have sustained bike injuries in a Southern California bicycle accident, contact San Diego bicycle accident attorney, fellow cyclist and experienced lawyer for bike crashes Frederick M. Dudek at (858)530-4800 to schedule a free consultation today. 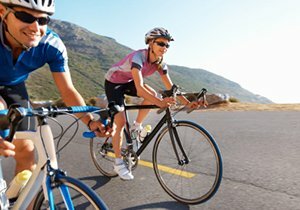 Need Tips on Your Bicycling Skills?